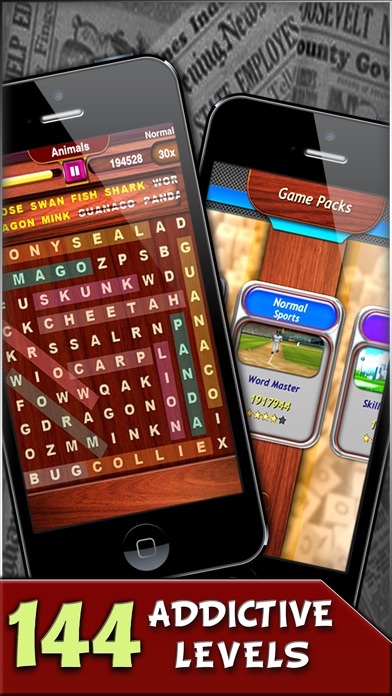 Very Addictive word search game with several packs based on different topics!!! - Unique Word search game with scores, ranking and online competition. - Each pack is based on a particular topic with nine levels. - Normal, Medium, Hard & Expert difficulty modes. - Challenge your skills in 4 difficulty modes in several packs. - Compete with thousands of players around the world. - Languages : English, Spanish, French, German, Italian & Portuguese. 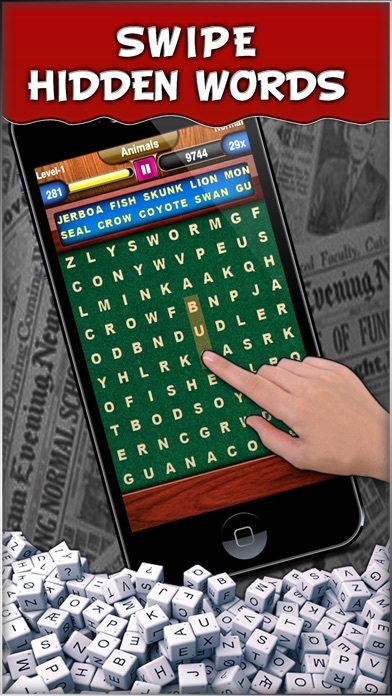 - Swipe over the characters in the board to form words shown above it. 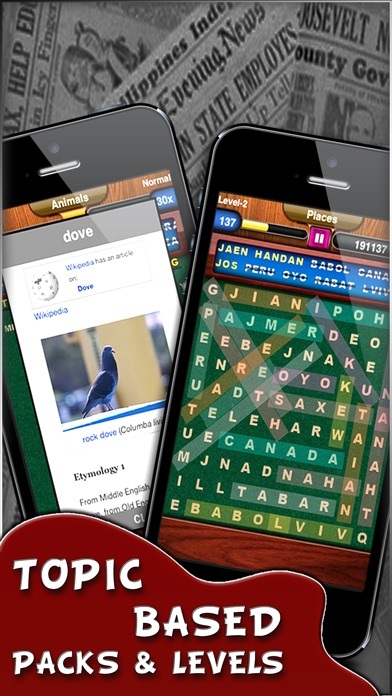 - Find all the words in the list to complete the level. 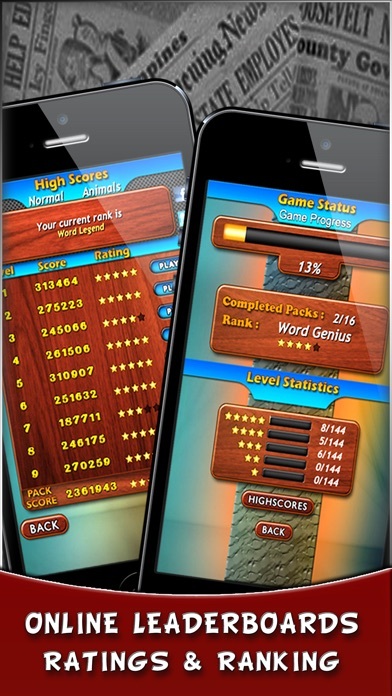 - Faster you find words higher the score & ranking. - Awesome graphics with fluid animations. - 5 Themes supported : Board, Fabric, Paper, Wood & Metal. - Choose your board size to match your skill. - All packs have individual player ranking system based on the highest Score achieved. 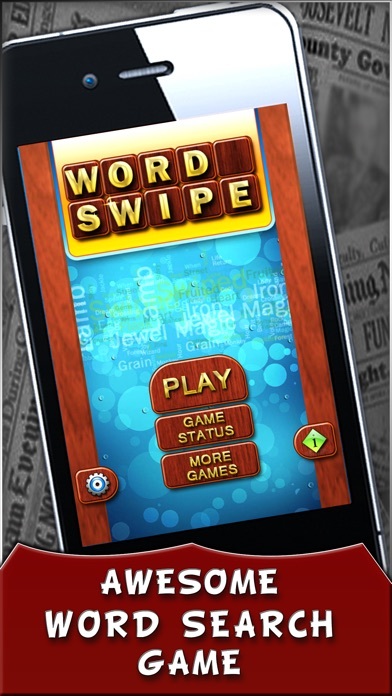 - Your rank naturally improves along with your skill as you play again and again, thats what makes WordSwipe so addictive.